There’s this funny inside joke going around in my family. I think I started it a few years back. My mother’s family is a mixture of Chinese, Portuguese, French and Korean. Although they are all completely different, there’s one trait that they all share: a low tolerance of bull… My mom’s family is mostly made up of the strongest women I know, mostly because they all exhibit the true nature of a hot-headed, always-right, never-mistaken, Korean woman. 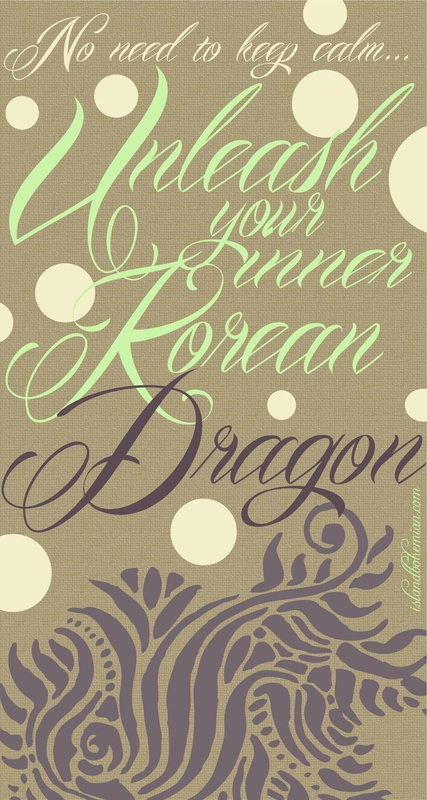 Every time someone gets angry, stressed out or loud, we say “the Korean dragon lady is coming out.” (You may think it’s odd, since the dragon is typically associated with Chinese culture, but it works well within our family of mixed Asians.) It’s a silly joke we play to lighten the mood and also make fun of how we all easily become irate. Ahhh where have you been?!? Like a dummy i never added your new site to my feed, and i missed so much basads stuff. Well im back now. Glad you’re back in my life.